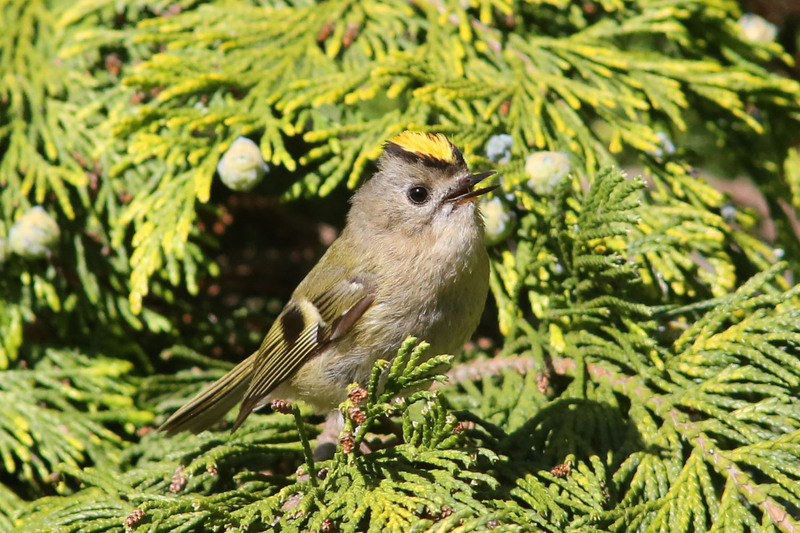 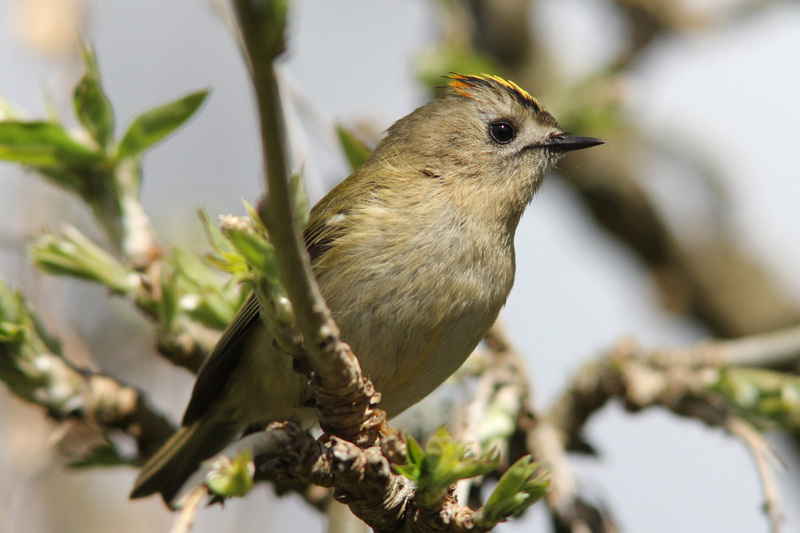 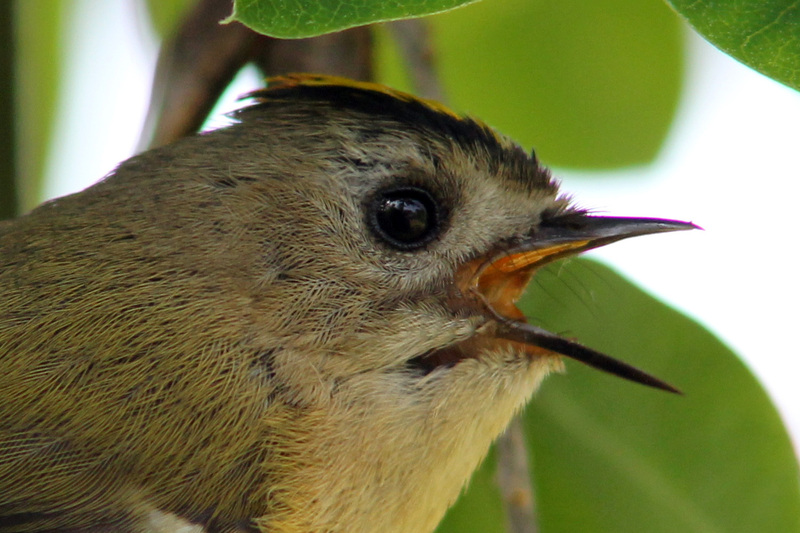 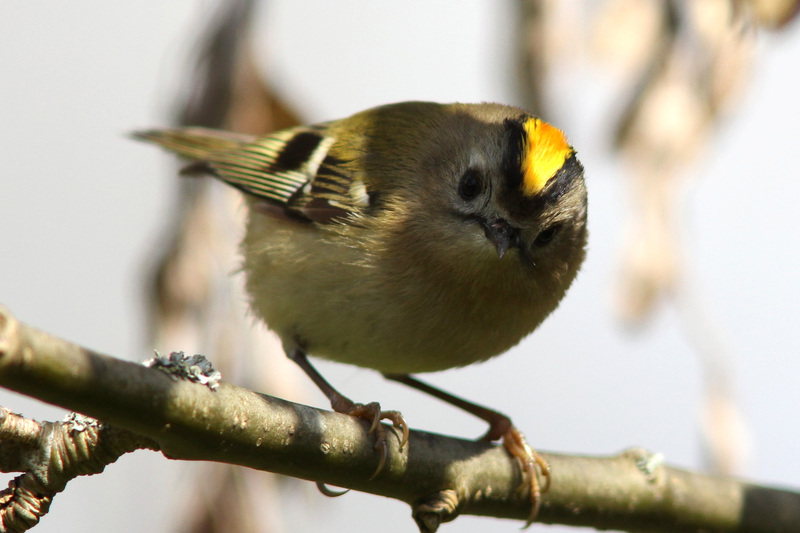 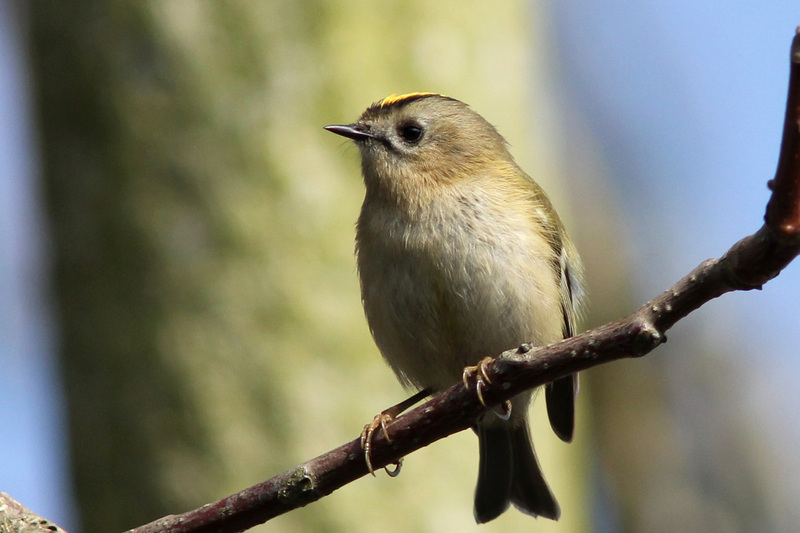 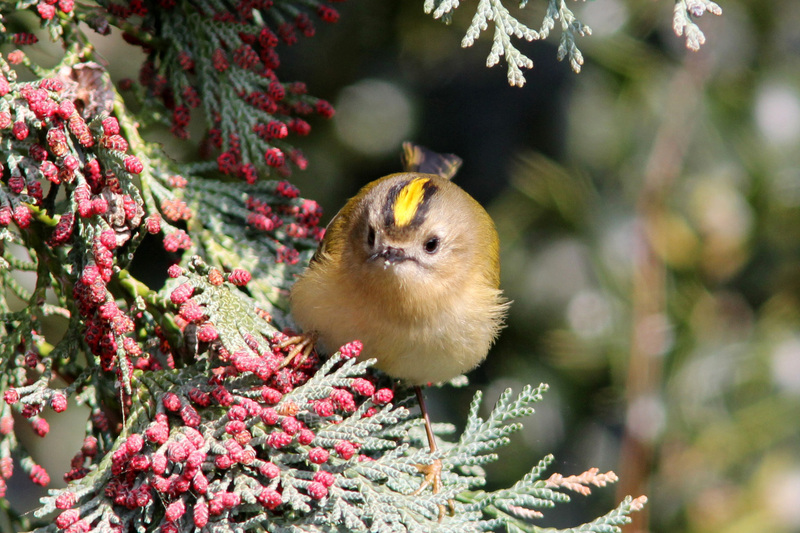 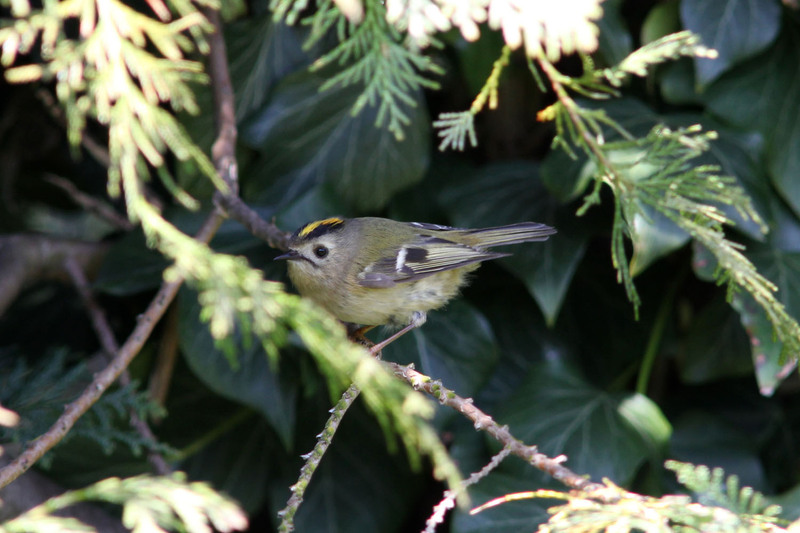 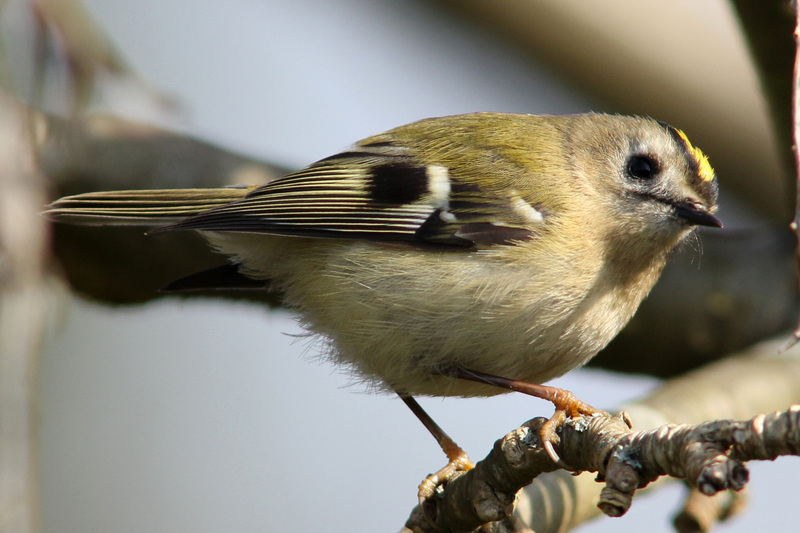 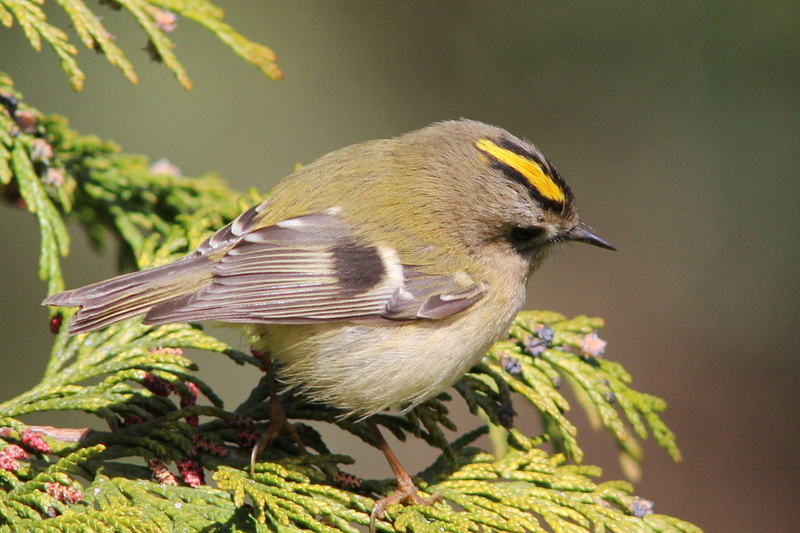 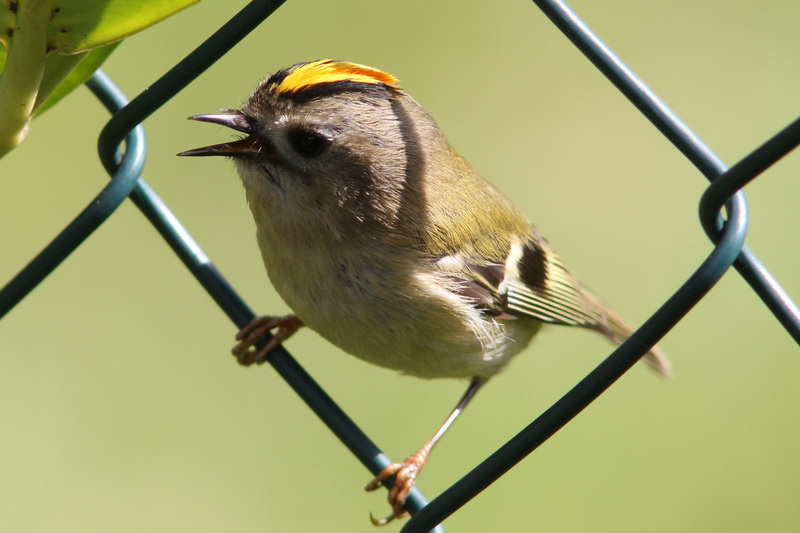 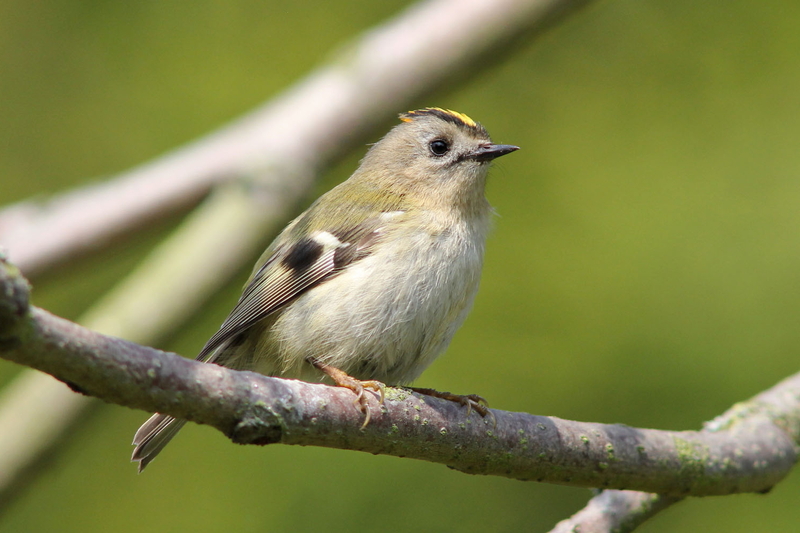 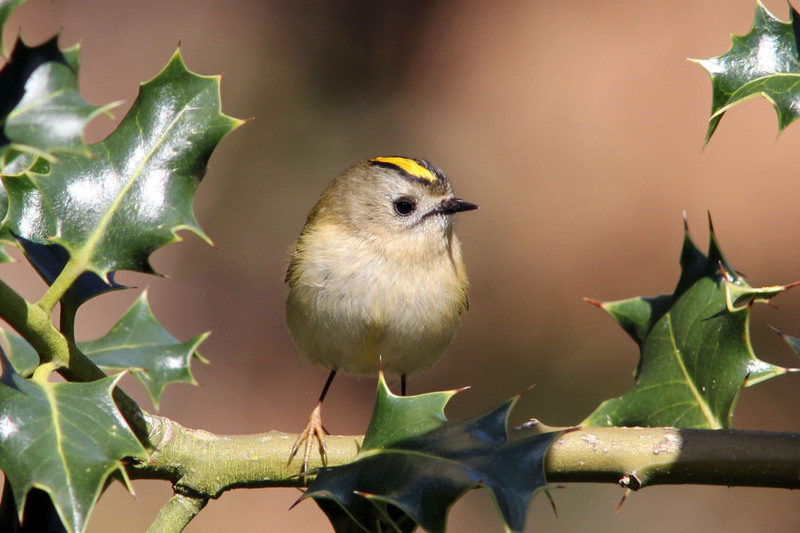 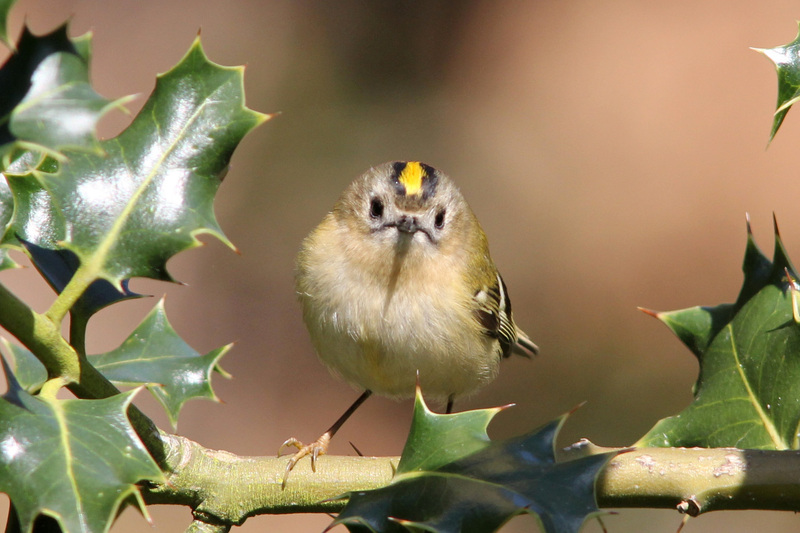 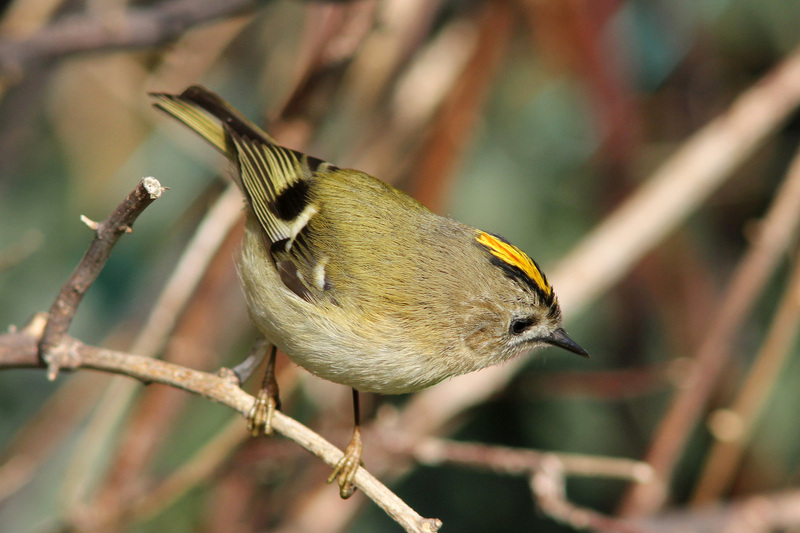 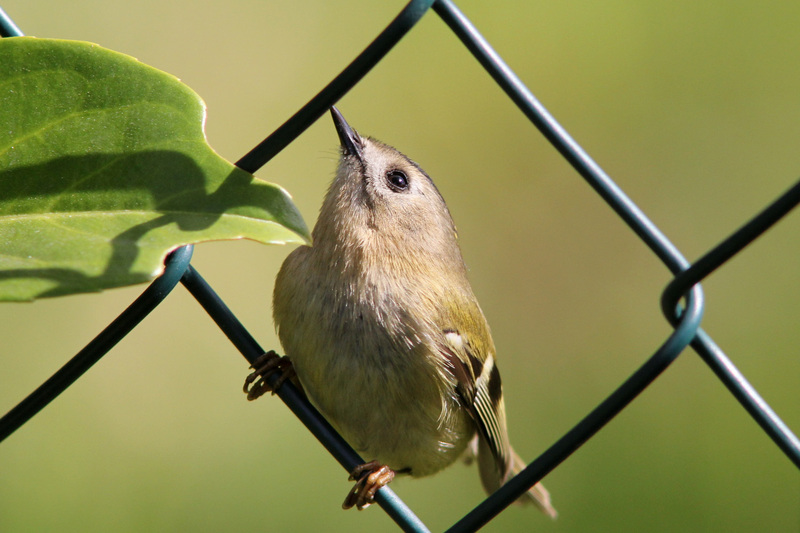 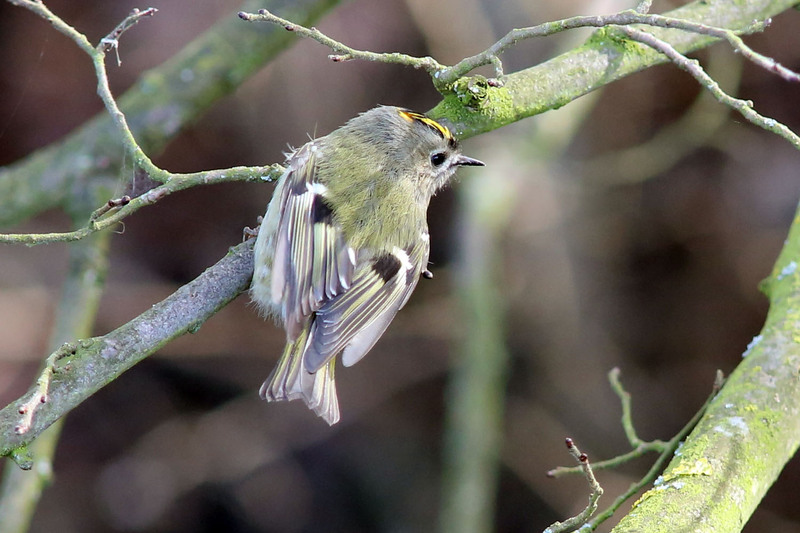 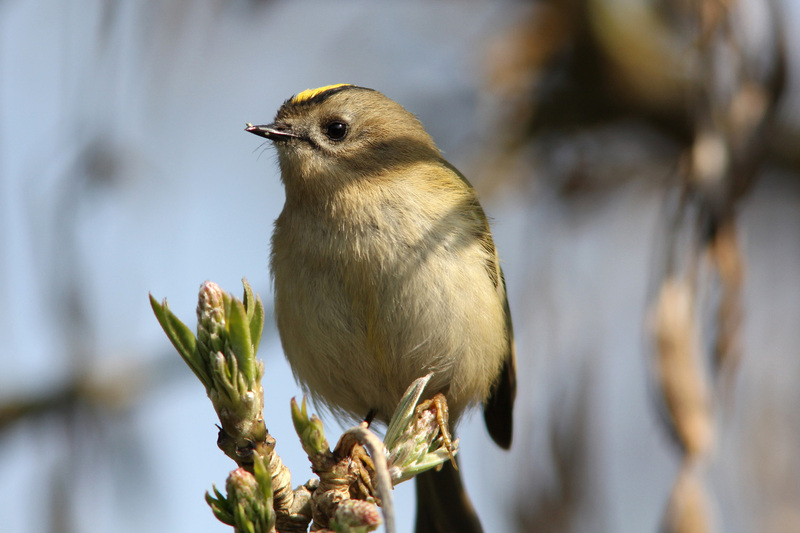 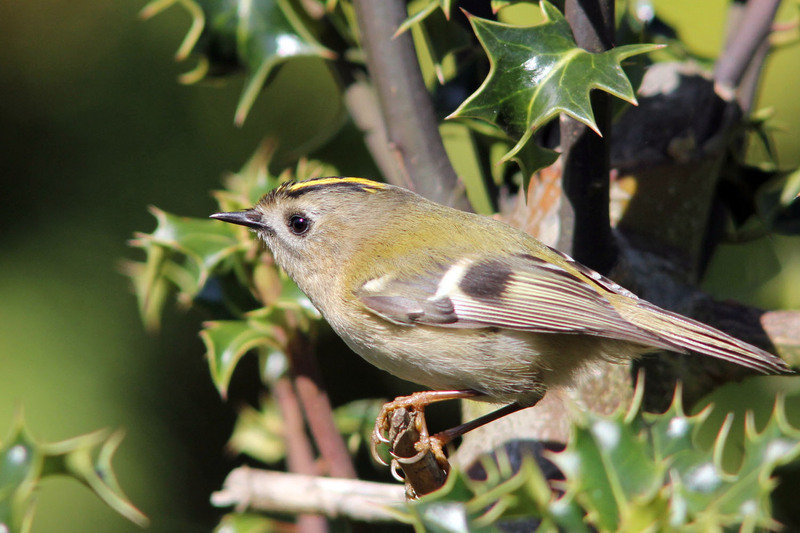 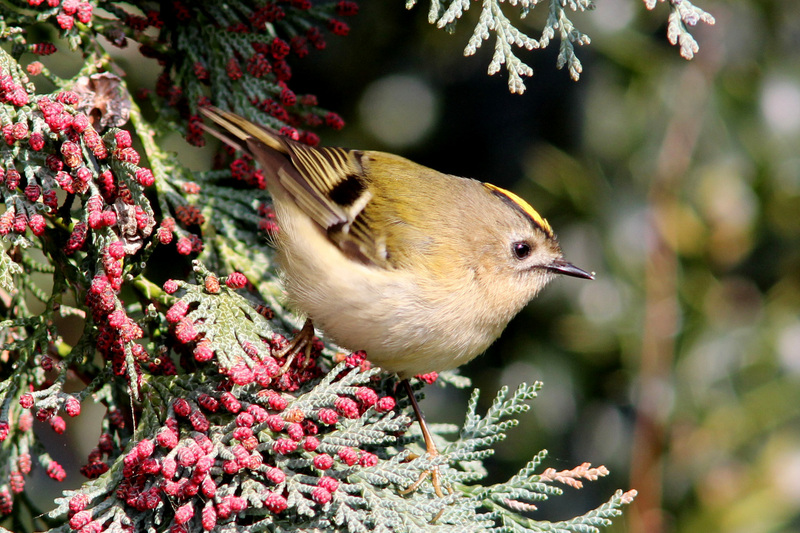 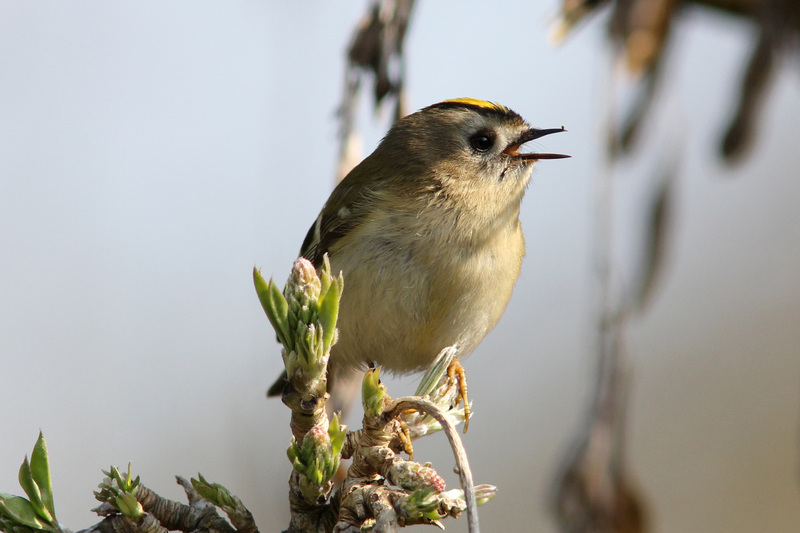 Goldcrests are resident all year and are one of Britain's smallest birds, being about the same size as a Wren. 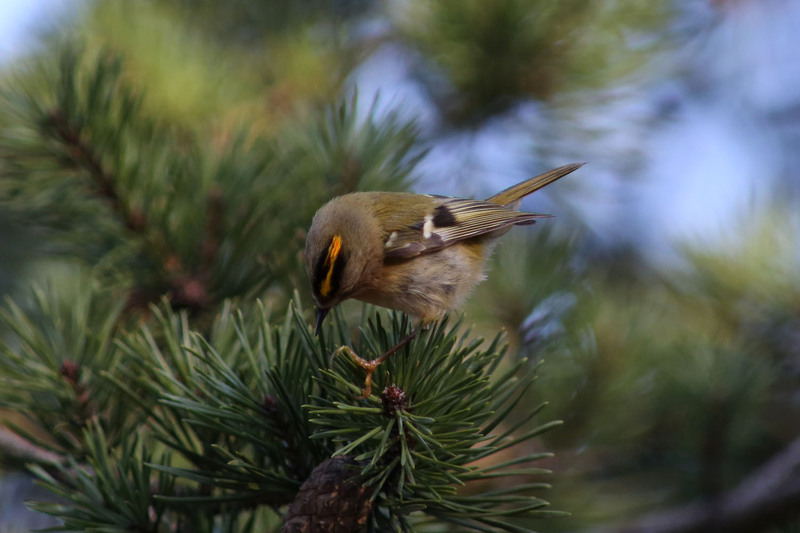 They prefer Pine trees to nest in and are often seen darting around the pine needles feeding. 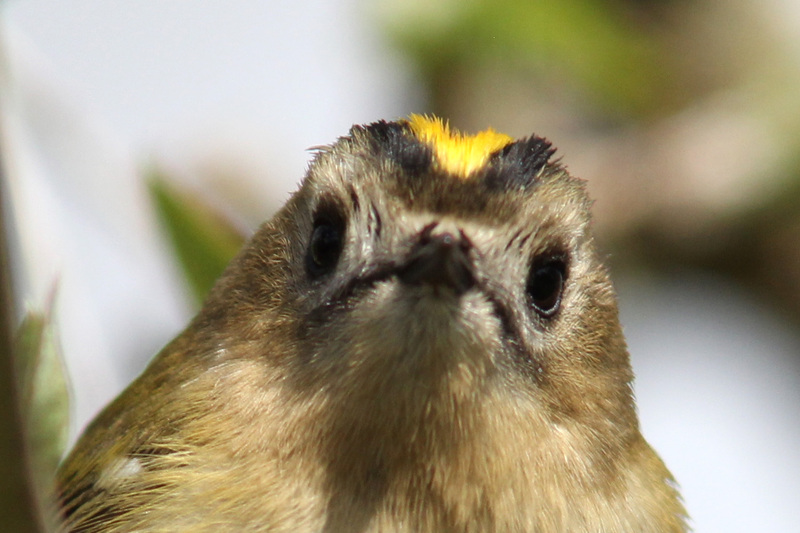 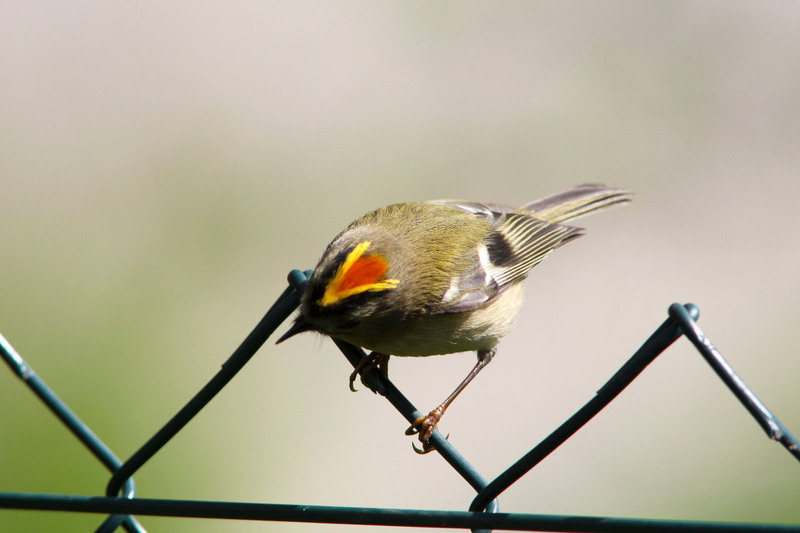 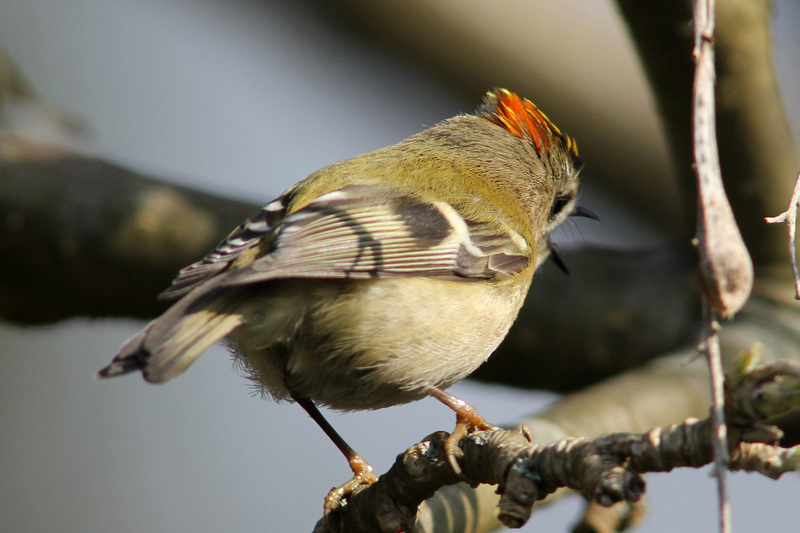 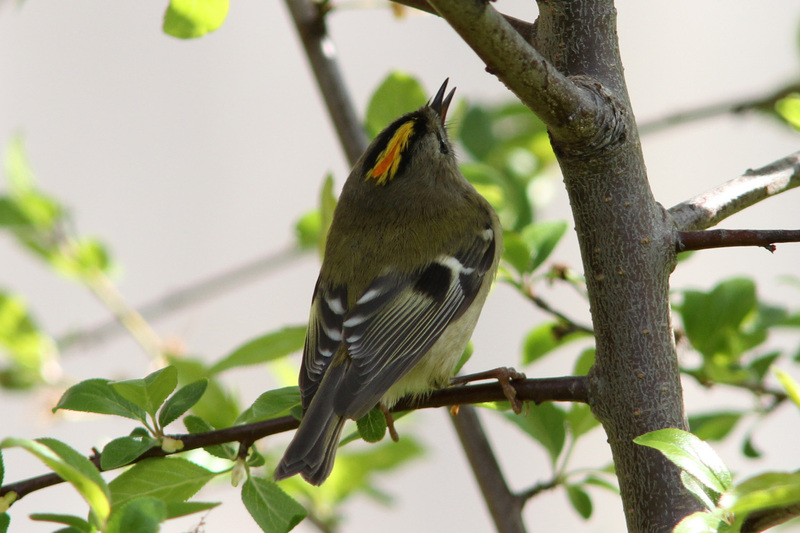 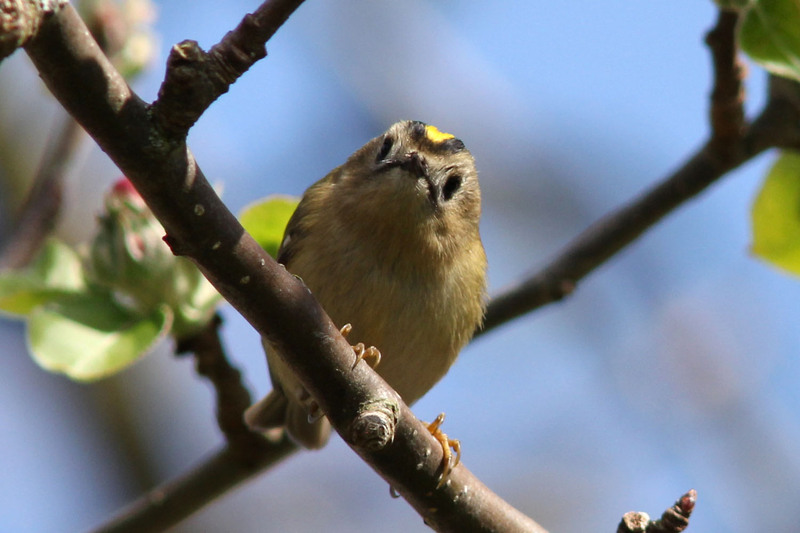 Males and females are similar but differ in that the male has an orange tuft within his yellow crown, which may become more aparent when his crown feathers are raised. 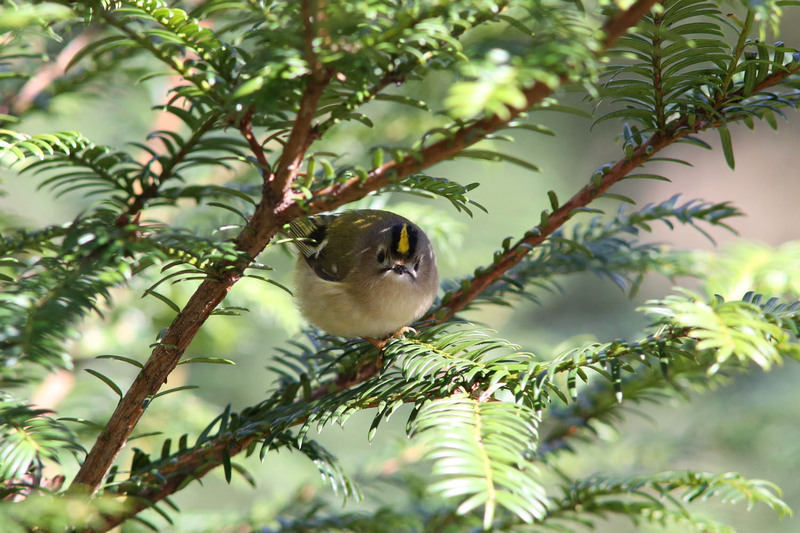 A Goldcrest singing in the garden.